Marc received his MSc and PhD degrees in Mechanical Engineering from the University of Twente, The Netherlands. His PhD thesis was entitled Abrasive Tool Wear in Metal Forming Processes. Following his PhD he worked at the R&D centre of Hydro Aluminium with a focus on investigating the surface quality of aluminium extrusions. In 2006 he returned to Twente as a lecturer, initiating research into biotribology. 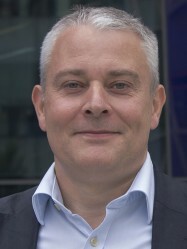 In 2013 he joined Imperial College as a Senior Lecturer.